We are a South Australian independent wholesaler, trading as a mail order, web based company that offers customer support and after sales service on the telephone or by email. Our prices are excellent. We supply direct to the trade, Australia–wide, no fuss. We will answer any questions any of our customers have, with freight costs kept to a minimum. Most orders arrive within 2-3 days. 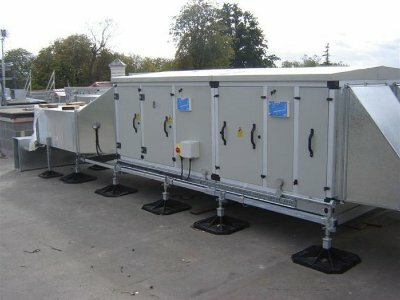 We specialise in supporting commercial roof mounted plant and machinery, supplying Bigfoot Systems. We are the only company in Australia to offer genuine point loading and strength test certification with our frames, plus a 15 year warranty. We sell Air Conditioning frames, HVAC Supports and stands, AC & R condensate pipe and pumps, Roof supports, Roof stands, Bigfoot roof stands, Bigfoot systems, Mechanical services supports, Air conditioning stands and supports, Air conditioning parts, Air conditioning wholesaler, Condensate pumps, Condensate pipes and fittings, Clips, Clamps and Hangers, Frames for mechanical services, Strut, Ezy trap and more.